So where did it all start? The history of bingo is a little fuzzy, but the origins of the game seem to come from continental Europe. An Italian lottery called Il Gioco del Lotto d’Italia was played in the sixteenth century, and seems to have spread through Europe in the eighteenth century. Called Le Lotto in France, it was played using ninety numbers and it closely resembled modern bingo. The game was played mainly by the aristocracy in France when it hit our shores, the general population claimed it for themselves. Lotteries however, had been played in England for many years before, and were used by the Crown to generate revenue, notably by Elizabeth I to help fund her war chest. In the years of Queen Anne’s reign, a prize of £20 000 for the state lottery was available, a vast sum of money at the time and was seen by many as a way out of poverty. The parallels with today are uncanny, lottos are still seen by the poorer classes as an escape route from their lives. The main state lottery was only run on a limited basis and did not cater to the public’s thirst for this popular, simple form of gambling. As a result many illegal street games were run and by the time bingo as we now play it had arrived the general public were already hooked. The best places to play bingo were often found in public markets, and areas of waste ground. For over one hundred years bingo sites in the UK ran unchecked and every town had at least one regular game. Bingo’s popularity in the slums of London was huge, particularly with women, a trend that has not changed to this day. A very popular game within the Royal Navy and the British Army, it was actually sanctioned by the authorities and was the only game of chance allowed for cash reward. Actively encouraged during the First World War, bingo was seen as a welcome distraction to horrors of trench life. Known as Tombola in the Navy and House or Housey in the Army, the game was well established amongst all ranks and the way it is played remains virtually unchanged, from then until now. There is plenty of anecdotal evidence that games played in the military had very large numbers of players, and the cash prizes were substantial. Some of the largest unsurprisingly, happened to be on pay day! Immensely popular during both wars, not only as a salve to the rigors of war, but as a chance to win some easy money, meant bingo had a firm place in the nation’s heart. These servicemen once de-mobbed, took with them their love of the game and it became a regular form of gaming in service and working men’s clubs across the country. Bingo over the years has been used, by the masses, as a distraction for many generations. In the interwar years poverty was rife and good bingo sites were found on waste ground and semi-permanent fairs. Peckham in South London seems to have had many, with one based in premises on Peckham High Street, and was considered the best bingo site in the area. The game run by a Mr. Hart was notorious with up to 60 players at once, games running from ten in the morning to six at night, and queues into the street waiting to get a seat. While cash prize games were still very much a black market affair, bingo for prizes was getting more common at holiday destinations. Beach fairs and amusement arcades had permanent games and started using table top mechanical cards instead of paper. These arcades have stood the test of time and are still seen today at some locations. Where there’s a jackpot there’s a winner. Check out Wink bingo promos, with special bonuses, competitions, jackpot games, slots and bingo promo codes. The Catholic Church had a relaxed view on gambling in moderation and used bingo as a staple fund raiser for many years. A rapid influx of Irish workers searching for work immediately post WWII meant Catholic churches needed to grow. While the men rebuilt the British infrastructure destroyed during the war the families needed succor, funds were required to build schools and community centres and in Liverpool bingo was even used to raise money to help build a cathedral. 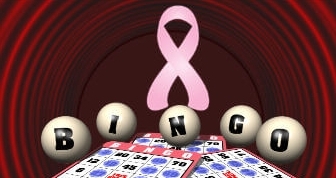 At one time or another schools, hospitals and village fetes across the country have all used bingo as a fundraiser, it seems the game is played everywhere and has been a very successful tool within the charity world. The start of the 1950’s saw a Royal Commission into the practices of gambling within British society. 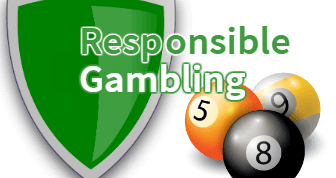 Gambling had long been viewed by the masses as a social activity rather than a problem, and with this in mind the Commission recommended changes to the Gaming Act to allow taxation and regulation. In 1961 changes to the law were finally brought in. In principle the government simply wanted to legitimize what they considered to be a small existing gambling culture, not create an industry. What they failed to grasp, and they were warned, was that there was a gaping loophole within the Act. It stated that all stakes had to be returned to the players. Effectively meaning no money could be made from the prize pool, but it allowed players to be charged for the privilege of playing. What this meant was quickly realized by many, allowing commercial development of the game, and so the bingo boom started in earnest. The first commercial club opened on the 3rd of January 1961 just two days after the new Act became law. Within two years of the change in the law over 14 000 000 members were registered with bingo clubs. Mecca and the Rank organization got in at the get go, realizing that their ballrooms, mostly empty during the day, would make good bingo sites. Within months the average attendance at the various Mecca ballrooms was over 150 000 players per day. Very quickly these ballrooms became the top rated bingo sites, providing comfortable premises, large scale catering, and daily cash games. Right from the outset these games offered large cash prizes, as well as holidays, fur coats, and even diamond brooches. Bingo was here to stay and has over the years generated vast sums within the leisure and gaming industry. The number of bingo sites in the UK grew and grew, small as well as large, until a change in legislation in 1968 changed the demographic. Designed to alter the perception of gambling from a social problem to a leisure pursuit, instead it brought about the demise of most of the small venues, consolidating the hold on the market by the big few. This change however, did not slow the growth with over 600 bingo halls around the country by 2005. However the writing was already on the wall for the next big evolution, the internet was here and here to stay. By 2006 the numbers of bingo halls around the country were in decline, people had found a new way to get there bingo fix. With the advent of the internet, bingo quickly became established from the beginning, with a wealth of sites springing up in no time at all. Most of these sites were free to play and generated income from advertising. Unlike bingo halls where conversation during the game is strictly prohibited, online sites have fostered a sense of community with chat rooms available on all sites. A clever tool in customer retention, the idea of combining a social media approach with gaming has proved to be very popular. A huge number of players are online at any one moment. Bingo sites in their hundreds sprang up. This impacted bingo halls in a big way with many closing in the wake of the huge upswing in online players. 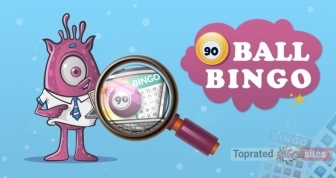 With so many out there to choose from how can you compare bingo sites? A fight for customers ensued. With just about every operator offering one form of incentive or another. All of the best online bingo sites offer cash games requiring a small deposit in your account to play. Most will give a percentage of your first deposit as a welcome bonus, in the form of some kind of playing credit added to your account. Some of the larger companies give up to 500%. Promotions abound with free scratch cards given on some games, loyalty points, and new ideas to retain customers come out every day. One major site gives away £50 000 on the first Friday in every month. It really does pay to look into each site because although the game may be the same, the playing incentives are very different not to mention the playing experience. We will of course be sharing this kind of information in all our reviews.